At the end of May, my wife Sue and I had the privilege of taking a group of Asbury University students to South Africa on a mission trip. (The team is back home in the states now, but Sue and I are staying on for a couple of weeks with our daughter, Lori, who lives in Johannesburg.) Lori developed a remarkable agenda for us to follow. The schedule provided the team the maximum opportunity to engage the culture, the people, and the challenges of ministry in that context. Lori is part of a group of women from her church that works in Kya Sands squatter’s camp. This sprawling slum defies description. The poverty and human deprivation is overwhelming. The women offer compassionate ministry to preschool children and some slightly older children who do not go to school. A new part of the ministry is education for the mothers of the children. The NHIM team was in South Africa at the beginning of their winter season to observe this vital ministry and help as they could. The temperature often drops into the upper 30’s and low 40’s at night. The tiny shacks where the children live offer little, if any, protection against the numbing cold. One of the projects the NHIM team assisted with was securing warm clothing for the children. The items were to accompany previously purchased warm blankets. 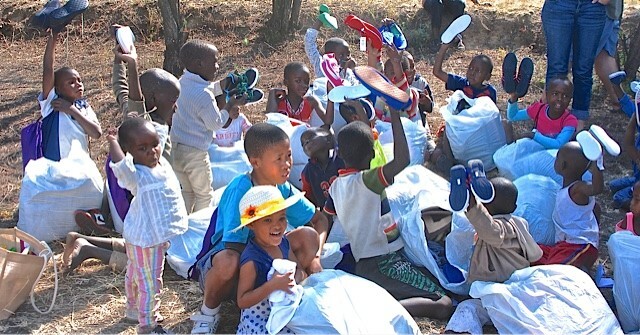 Each child was to receive a long-sleeve shirt, long pants, a sock cap, and a pair of shoes. It was quite an experience for the team to shop in unfamiliar places, compare prices, and try to purchase the ‘best’ on a limited budget (approximately $15 to $18 per child). 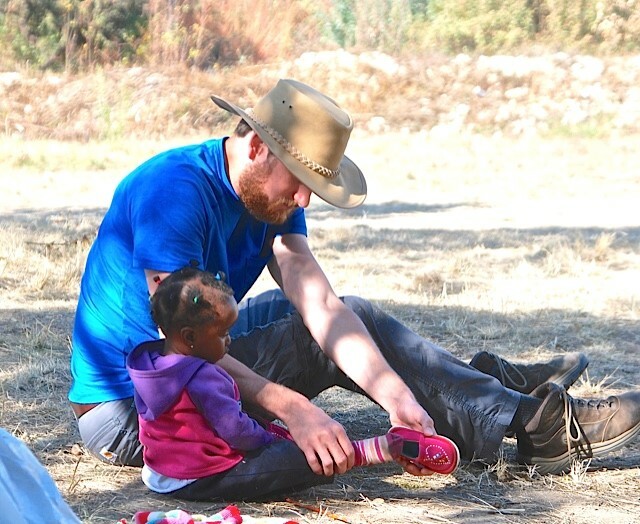 As the team set about this difficult task, the sobering reality of systemic poverty and limited resources stirred them. Each team member was given the names and sizes of several children. The information seemed to personalize the task for our team. I was deeply moved. He got ‘it’! Across the years, I had prepared for so many mission trips when well-meaning people brought me things to take to needy people on the ‘field’. Too often these things were worn out or broken. Threadbare and frayed clothing seemed to be the order of the day. Things they would not dress their own children in and that should have been thrown away were somehow deemed good enough for ‘those poor children’. O, Lord give us Ryan’s heart. Help us to see that “what we have done to the least of the Lord’s children we have done unto Him” (Matthew 25:40).